"Bioshock" – Indiagames Ltd: This 2009 release is a port from the award-winning console game of the same title. It has been converted into a 2D top down game, ala Gauntlet, and has a similar gameplay style. It doesn't really transfer the immersive aspect of the original, but succeeds quite well at being fun. The story is the same, although considerably more condensed. The graphics and music will be a nostalgic flashback for anyone who owned the original NES. Download: Bioshock. "Street Fighter II" – This port brings simple, but fun, gameplay with a premium brand name. The CPU fighters are generally challenging, if not incredibly so, which makes for quick gameplay that doesn't require lots of practice. The graphics are almost spot on, if much tinier than the original, and all the special moves you remember are available. The controls are also fully programmable if you don't like the defaults. Download: Street Fighter II. "Asteroid Zone" – GNU: Another arcade classic, Asteroid is a timeless game because of its simple, but ingenious gameplay. The simple controls for Asteroids port over well to playing on a cell phone keyboard. In addition to the familiar spin, propel and shoot, while you avoid asteroids gameplay, this version includes a teleport option, which offers fresh gameplay for even the most seasoned Asteroids veteran. Download: Asteroid Zone. "20,000 Ft. and Falling" – GNU: The object in this game is to maneuver your skydiver into position with other CPU divers to complete a variety of traditional skydiving formations. You play against your plummeting altitude, instead of a clock, and the quicker you can get into place, the better your score. Difficulty is added as you are hit by sudden gusts of wind which will knock you far off course. The graphics consist of the digital equivalent of cut out pictures of people, clouds, and the ground, but manage to convey the sense of falling from a great height nonetheless. Download: 20,000 Ft. and Falling. 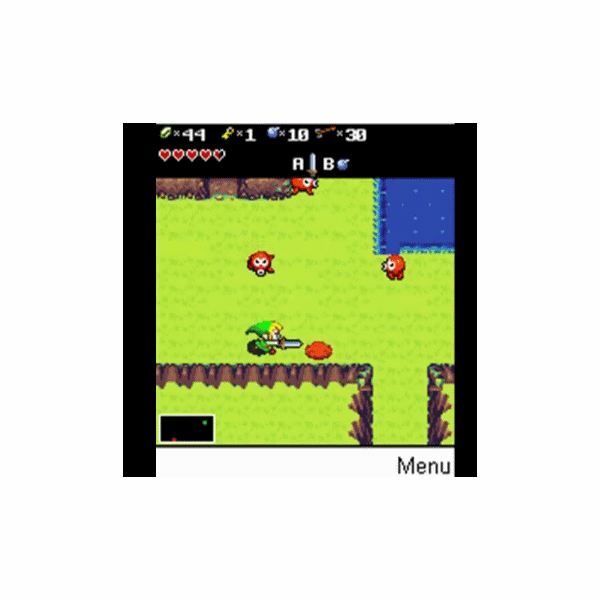 "Zelda Mobile" – Zortworth: This title is a remake of the SNES's "Legend of Zelda: A Link to the Past". The graphics are clear, and quite faithful to the original cartridge version, as is the music. The story line follows basically the same path as well. The only downside is the programming is a little buggy at times, but the length of this game is phenomenal for a mobile title. Download: Zelda Mobile. "Brik-Link" – Smallfrymobile: Now in the public domain, since Smallfrymobile was acquired by Chillingo, this game offers what every good puzzle game should — addictive gameplay. It plays like a combination of Tetris and Pipe Dream, as you must link up the pipes on squares that slowly descend to the bottom of the screen. Link up enough pipes and they'll disapear. The developers also still offer leaderboards where you can compare your score online. Download: Brik-Link. "Snake: Evolution" – Lost in Code: This game is an update to one of the most popular games first featured on Nokia phones — Snake. The object is to direct your snake around bubbles. Successfully complete a level and the difficulty is upped by making your snake longer, and adding more obstacles. This version also increases the screen's play area occasionally, making for more dynamic gameplay. The graphics are bare-bones simple, but a game like this doesn't really need extra bells and whistles, anyway. Download: Snake: Evolution. "Yet Another Tetris" – Alwin: Just as the name says, it's another Tetris game. But can you ever get enough Tetris? This title features an arcade mode and a classic mode. Basically, it's standard procedure here, but a must have standard of any gaming. Download: Yet Another Tetris. "Its Blackjack!" – Don's Mobile Games: For fans of card games, a quick game of Blackjack offers the pick up, play, and put down functionality for those looking for a quick fix, while also providing a game session against yourself that can last as long as you like. The graphics are crisp, clear, and simple, as they should be, so it should run well on even the most basic of phones. Developed by an independent programmer, as freeware, this game can stand shoulder to shoulder with any digital blackjack sim. Download: Its Blackjack!